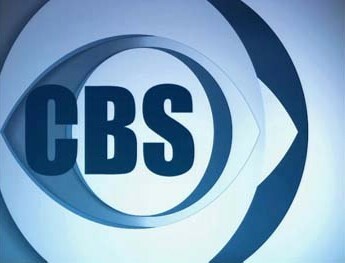 CBS has announced the upcoming season finale dates for its current scripted and reality TV shows. The finales for MacGyver season one, Ransom season one, and 2 Broke Girls season six will air in April. In May, expect the finales for Blue Bloods season seven, Kevin Can Wait season one, Superior Donuts season one, Criminal Minds season 12, , The Big Bang Theory season 10, The Great Indoors season one, Mom season four, Life in Pieces season two, Hawaii Five-0 season seven, NCIS: Los Angeles season eight, Man with a Plan season one, Scorpion season three, NCIS season 14, NCIS: New Orleans season three, Criminal Minds: Beyond Borders season two, Undercover Boss season eight, Training Day season one, Madam Secretary season three, Elementary season five, Bull season one, and Survivor season 34. The Amazing Race season 29 finale will air on June 1st. Check out this CBS press release for all the TV season finale airdates. What do you think? Which CBS TV series’ season finales will you watch? More about: 2 Broke Girls, 2 Broke Girls: canceled or renewed?, Blue Bloods, Blue Bloods: canceled or renewed?, Bull, Bull: canceled or renewed?, Criminal Minds, Criminal Minds: Beyond Borders, Criminal Minds: Beyond Borders: canceled or renewed?, Criminal Minds: canceled or renewed?, Elementary, Elementary: canceled or renewed?, Hawaii Five-0 (2010), Hawaii Five-0 (2010): canceled or renewed?, Kevin Can Wait, Kevin Can Wait: canceled or renewed?, Life In Pieces, Life In Pieces: canceled or renewed?, MacGyver (2016), MacGyver (2016): canceled or renewed?, Madam Secretary, Madam Secretary: canceled or renewed?, Man with a Plan, Man with a Plan: canceled or renewed?, Mom, Mom: canceled or renewed?, NCIS, NCIS: canceled or renewed?, NCIS: Los Angeles, NCIS: Los Angeles: canceled or renewed?, NCIS: New Orleans, NCIS: New Orleans: canceled or renewed?, Ransom, Ransom: canceled or renewed?, Scorpion, Scorpion: canceled or renewed?, Superior Donuts, Superior Donuts: canceled or renewed?, Survivor, Survivor: canceled or renewed?, The Amazing Race, The Amazing Race: canceled or renewed?, The Big Bang Theory, The Big Bang Theory: canceled or renewed?, The Great Indoors, The Great Indoors: canceled or renewed?, Training Day, Training Day: canceled or renewed?, Undercover Boss, Undercover Boss: canceled or renewed? Even though I couldn’t be more disappointed with the ratings for its current third season, it is good to see “Scorpion” finish this season in May after having its first two seasons finish during April.